Jingle bells are ideal for decorating and embellishing craft items. Great for wreaths, Christmas stockings, dolls and more. Each pack comes with 75 bells. Comes packaged inside a poly bag with hanging panel. 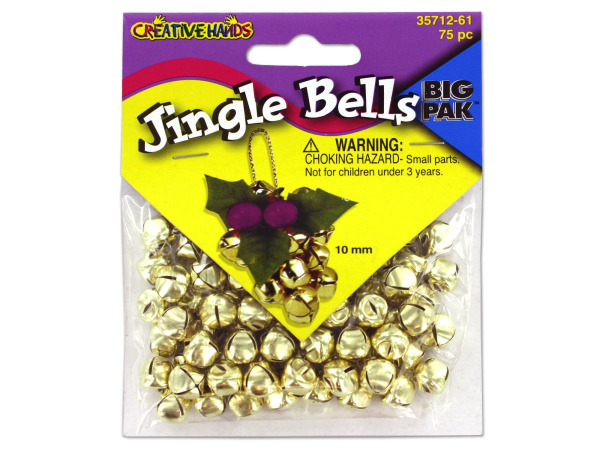 Bells are approximately 10MM. Not recommended for children under 3.